SEOUL, Nov. 14 (Yonhap) — Former major league prospect Lee Hak-ju has admitted to being charged with drunk driving in 2017, his South Korean club said Wednesday. The Samsung Lions in the Korea Baseball Organization (KBO) said it contacted Lee, who is currently training in Okinawa, Japan, and confirmed that the infielder had received a DUI conviction when he was without a club in May 2017. Lee said he feels sorry about his irresponsible behavior in the past. Lee, 28, signed with the Chicago Cubs after graduating from a Seoul high school in 2009. But the shortstop was plagued by a series of injuries and never got past Triple-A. In 2016, he signed a minor league deal with the San Francisco Giants with an invitation to spring training but wasn’t called up to the big stage. Lee briefly played for the Tokushima Indigo Socks in the Shikoku Island League Plus in Japan last year. 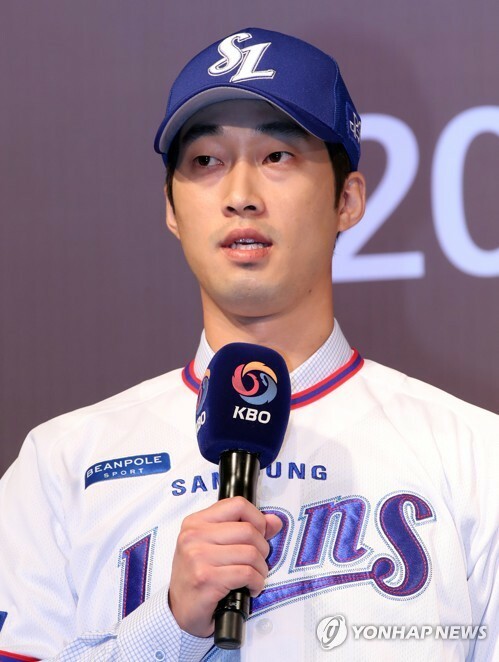 Lee recently joined the Lions after he was picked second in the KBO draft for the 2019 season.